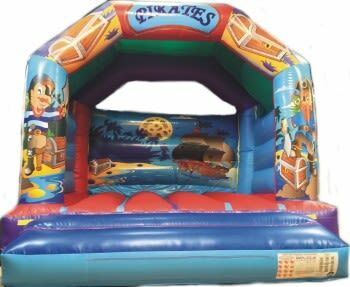 Thank you bellyflops for the big pirate ship for my daughters mermaid and pirate party she and all her friends had a great time and loved the ship, will be using you again and will recommend to all my friend, very polite and professional. We have used bellyflops for the last two years for our daughters birthday. Great service and value for money, thoroughly recommended! 13ft x 16ft with built in rain cover. Suitable for ages up to 14 years and ideal for any occasion.